Australia's unique flora has been portrayed in the decorative arts since the early colonial times of the last decade of the 18th century. 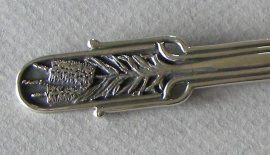 The use of Australian flora to decorate silverware is of particular interest and diversity. 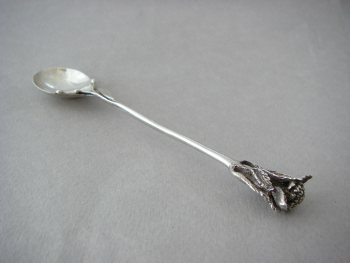 Early colonial works before the 1850s are few and far between a combination of lack of wealth and paucity of available silver. 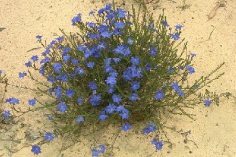 By the second half of the 19th century the colony had become wealthier. The gold rush of the 1850s brought a massive influx of immigrants, as did the promise of a better life for many from Europe at that time. 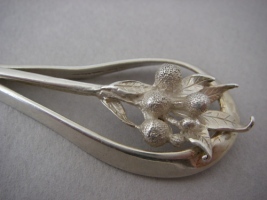 German and Danish immigrants to South Australia included a number of trained silversmiths who found a society ready to support their work, which became prolific. It was ‘the golden age’ of Australian silver. 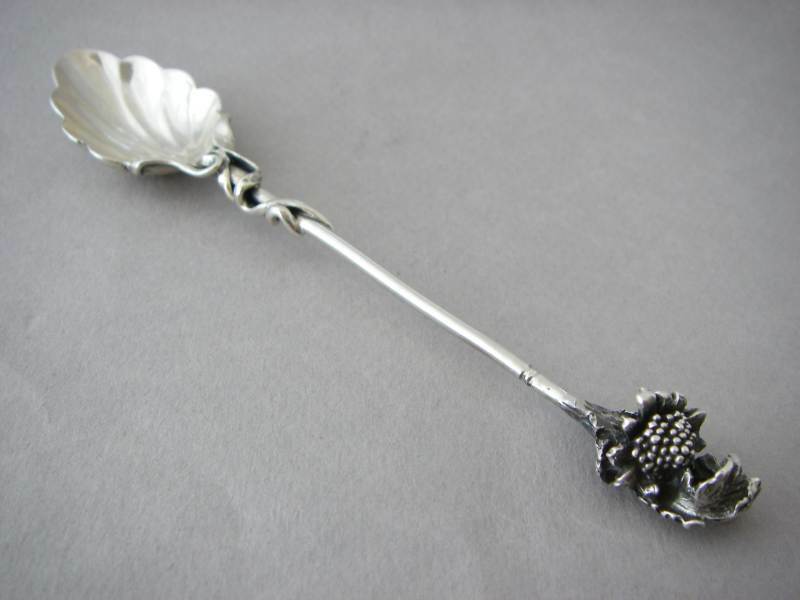 Huge centrepieces were commissioned as were elaborate trophies and a wide range of ecclesiastical wares. 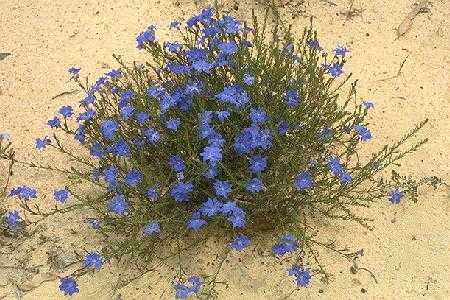 Most of these items bore some form of flora as decoration. 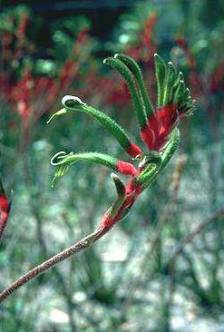 Tree ferns and their gentle fronds abound as do vine leaves; Sturt Desert Peas (Swainsona) decorate the handles of a trophy made in this era in Adelaide, the capital city of South Australia. Similar works were produced in other major cities of the colony mainly by English and Scottish immigrants, but not in the same profusion as they were produced in South Australia. However, there seems to be little evidence of flatware being adorned with Australian flora up to this time. 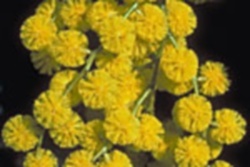 Federation of Australia was declared in 1901 and this brought with it a new jingoism and pride in things Australian. The 20th century also saw the evolvement of Arts and Crafts Societies. 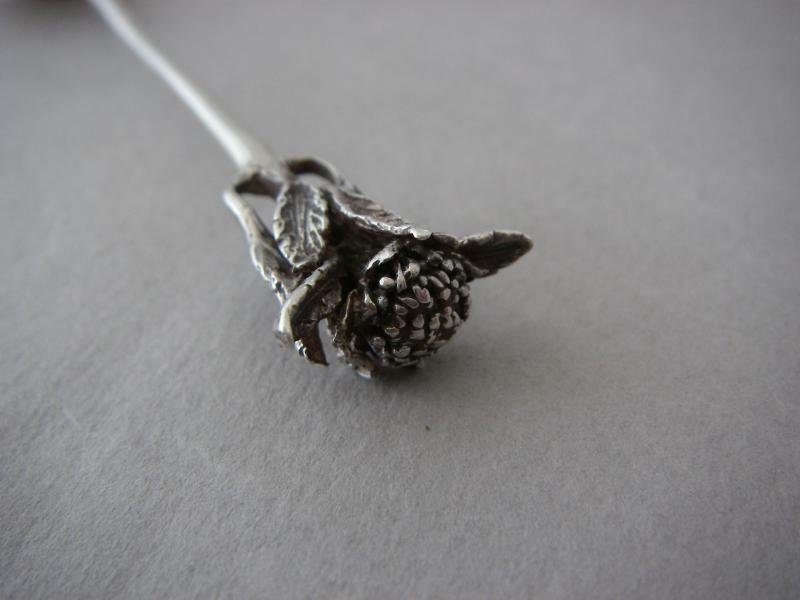 Here was an opportunity for hobbyists to learn the art of metalsmithing, including silversmithing. 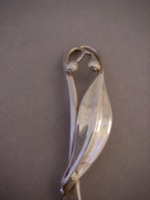 Many found spoons to be appropriate items to be made and Australian native flora suitable decorative motifs, specially for spoon handles and finials. 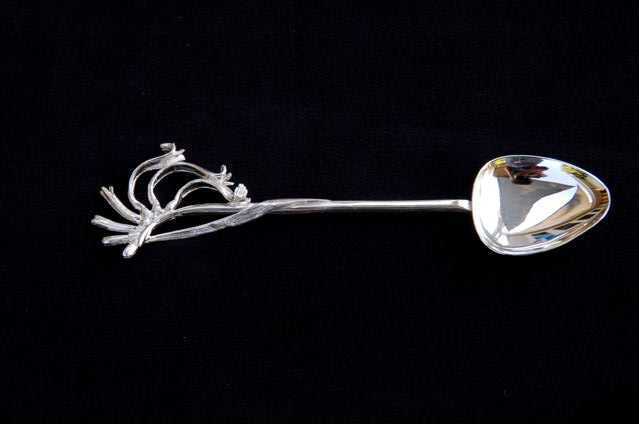 The unique wildflowers of Western Australia (WA) presented a delightful range for adornment of flatware not only for the hobbyist but also for the two main silversmithing businesses there. Linton Silver and Harris & Sons were the two particular businesses in WA that saw openings for such souvenir Australiana spoons. 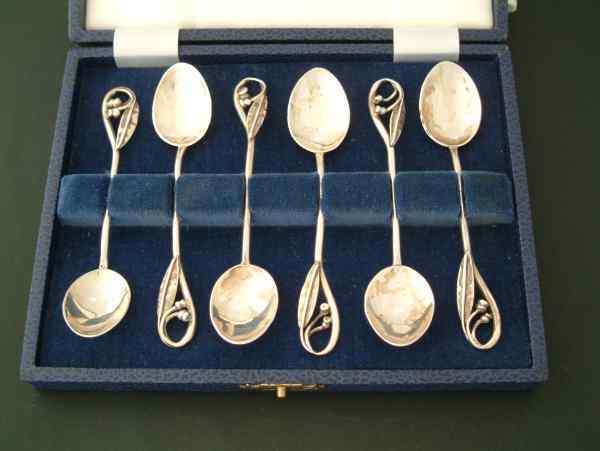 Linton Silver spoons of this type, designed by Jamie Linton (1904-1980), continue to be made currently as do those originally designed by Charles and Harold Harris commencing in 1952. 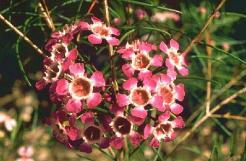 The range includes Geraldton wax (Chamelaucium), spider orchid (Caladenia), Grevillea, Leschenaultia, kangaroo paw (Anigozanthos, wattle (Acacia) the national floral emblem of Australia, and gum leaves and gumnuts (Eucalyptus). Many other WA silversmiths have seen the beauty and uniqueness of their State's flora and have incorporated them in their work. 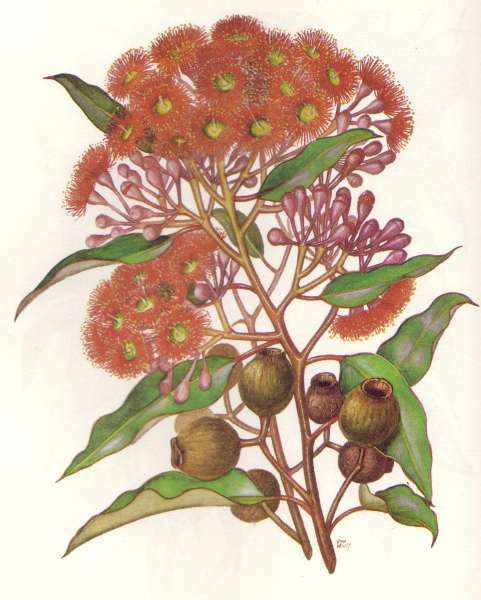 There are many varieties of gum trees in Australia and gumnuts and gum leaves are prolifically used by silversmiths throughout the country as decorative elements in their work. 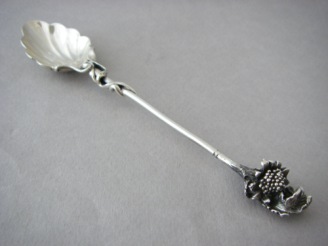 Peter Gertler has a range of flatware so decorated including the caddy spoon illustrated below. June Higgs also portrays them in a set of teaspoons. 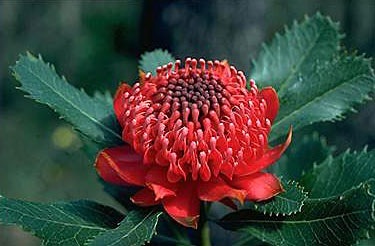 The waratah (Telopea) appears in the work of Libucha and Platt and Design Silver and the bottlebrush (Callistemon) in Terry Walsh's flatware. 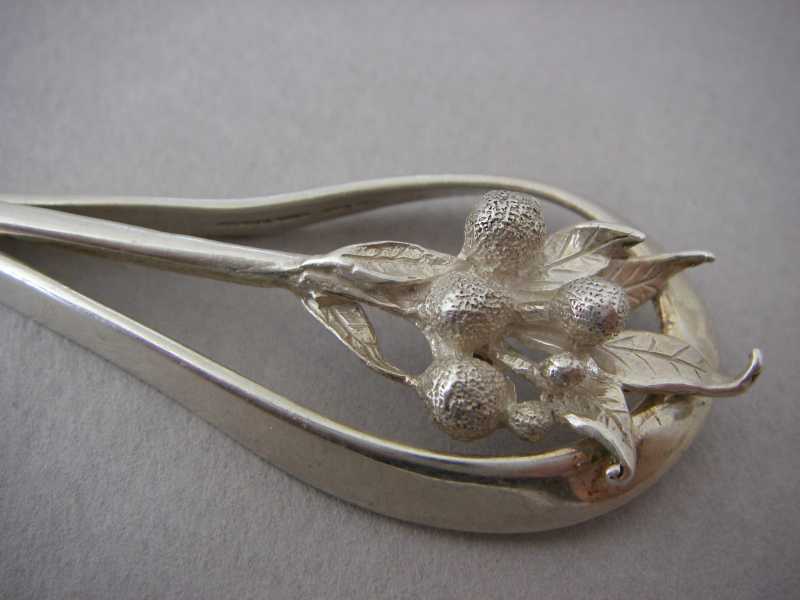 This brief summary of some of the many floral decorative works on silver spoons made in Australia presents an insight into a much larger and collectable market.